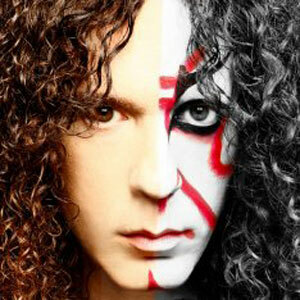 Third strike from the Italian metallers in as many years, and for the most part it’s a case of more of the same. So all present and correct are Georgia Gueglio’s impassioned METAL vocals (none of your goth croonings here thankfully), sharp guitar riffs and solos from Pier Gonella and a driving rhythm section of bassist Steve Vawamas and drummer Alessandro Bissa. The production is uncluttered and to the point, very powerful but rather dry with it. This does help propel to 4 piece feel though and it’s a powerful uninhibited metal production the like you would have got before reverb got out of control in the 80s. 11 tracks which for the most part of driven pieces of metal from the fast paced opener “Another Flower” to closer “Bitter & Sweet”. There are more melodic moments like the mid-tempo commerciality of “Time 4 Lovers” and the ballad “Lovin Me” whilst Gonella gets to showcase his six string skills on “Blue Diamond” which is well done. Criticisms? A couple in so much as some of the tempos are a little too similar in places although this is evened out by the variation in riffs, also Gonella’s use of the wah can be a little too frequent, using it more sparingly would enhance its effect somewhat. But overall this is another solid effort on a par with last years “Last Desire”. 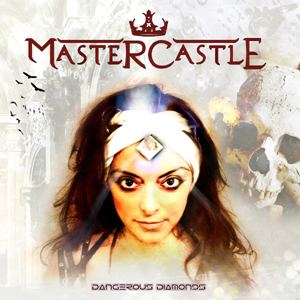 Simply put Mastercastle write accessible metal with little pretence and 3 albums in have an identifiable sound. This entry was posted in Reviews and tagged Dangerous Diamonds, Heavy metal music, Lion Music, Mastercastle, Pier Gonella, review. Bookmark the permalink. James Rivera has been regaling us with Helstar albums since the early eighties. After a break where James engaged in several other projects, Helstar has been an ongoing concern once more since the turn of the century. 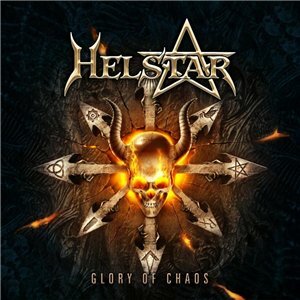 You know what to expect with a Helstar release : fast old school metal. James is an adherent of the Rob Halford school of metal singing, but has an identity all his own that never fails to shine through. And yes, this album does not stray. Solid heavy metal that checks all the necessary boxes. 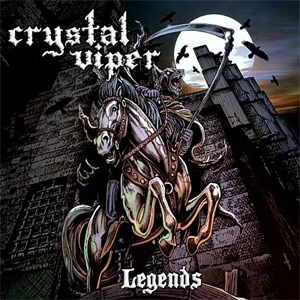 Menacing vocals, thundering riffs, shreddy guitar leads. All present and accounted for. The only difference between Helstar albums really is the level of creativity in the songwriting. While there’s not a lot of variation between the tunes (there’s only so much you can do in the heavy metal idiom), all of the songs more than make the cut. A good balance between fast and slow tracks keeps the album interesting ‘til the last. When the band puts the pedal to the metal they are sometimes reminiscent of a tighter, more evolved, version of Exciter. 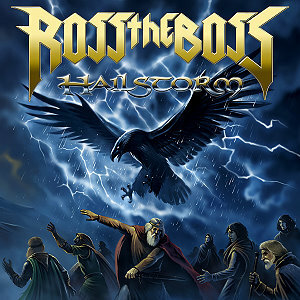 A rock solid metal album that puts most European so-called power metal bands to shame. This entry was posted in Reviews and tagged Heavy metal music, Helstar, James Rivera, Ozzy Osbourne, Rob Halford. Bookmark the permalink. The debut Ross The Boss album could have been the best Manowar album in years, if only Eric Adams had been there to fulfill vocal duties. Concise heavy metal songs with Ross’ meat and potatoes guitar playing, a competent band and a solid if unremarkable production. The only let down were indeed the vocals. These songs cried out for Adams’ masterful pipes, and precious few singers are up to the task… The follow up offers up the same recipe, but with some adjustments. In keeping with the trend of the last several years, everything is a bit more bombastic. The songs aren’t quite as catchy, but Ross sprinkles them with loads of Manowar references (there’s a riff in Burn Alive that owes more than a little to Death Tone, for example). The choruses are mostly Teutonic and should see the horns raised on festivals like Keep It True. Singer Patrick Fuchs, who put in a respectable performance on the debut, seems to be straining more this time around. I don’t know what happened to Ross’ guitar sound, but this distortion-pedal-into-the-mixing-board type of tone is inexcusable in 2010. His playing is naturally up to par but that tone really distracts from my enjoyment. While this is really not a bad heavy metal album it’s flawed in the details. Not up to the level set by its predecessor. This entry was posted in Reviews and tagged Eric Adams, Heavy metal music, Manowar, Music, Ross The Boss, Shopping, Singing, United States. Bookmark the permalink. Opening track “Nothing Left To Say” wouldn’t be out of place on a Primal Fear album. Second track “Silence” is aimed squarely at the Evanescence/Within Temptation crowd, with those annoying contemporary keyboards and choppy guitar riffs that have been done to death in this genre. “If I Had A Wish” is a faux-Helloween track. Only lacking the power that made that band so enjoyable. And so it goes on. Primal Fear, Helloween, Epica and After Forever all alternate with varying degrees of success. You can’t help but feel this album has been put together after a marketing study to determine what the present day metal fan expects. “Rain” is a particularly insipid song. 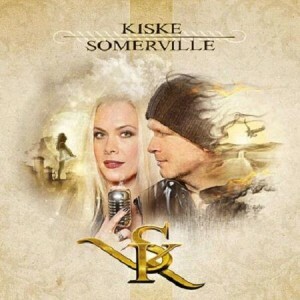 Both singers are a cut above average, even if Kiske has lost some of his mojo over the years. Unfortunately I find their voices don’t mesh together particularly well. Production and execution are both solid if not particularly inspired. A formulaic and bland album. Faceless and lacking excitement. 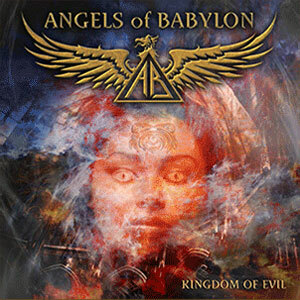 This entry was posted in Reviews and tagged Album, Amanda Somerville, Avantasia, Frontiers Records, Heavy metal music, Helloween, Michael Kiske, Singing. Bookmark the permalink.